A striking silhouette with design-forward details any way you look at it. Top-grain, hand-finished leather sits in a natural ash wood frame held by parachute strapping made of canvas, leather and metal buckles. 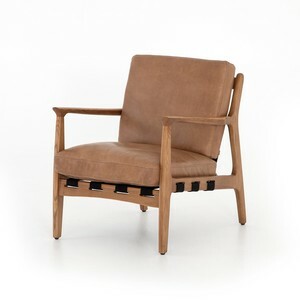 The ripple white washed oak frame of the Patricia Occasional Chair keeps an overal grey tone for this light grey upholstered armchair. 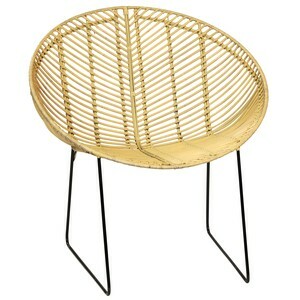 Its soft upholsted fabric provides stright lines with box edges for both the seat and backrest cushions. 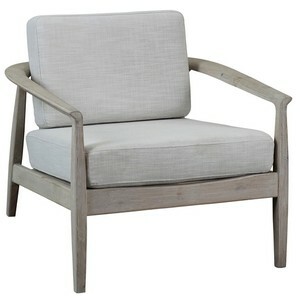 Ripple white washed oak frame Upholstered in soft fabric, light grey Seat height 18", arm height 22"